We express doubts regarding the need for such an intergovernmental agreement, most of the main objectives of which could be better and more effectively achieved by means of measures under EU law, MEPs said in a resolution on the treaty on the enhanced economic union, which is currently being prepared by the EU member states. MEPs also express their regret that the latest version of the text does not reflect the Parliament's proposals, although these have been supported by many Member States. 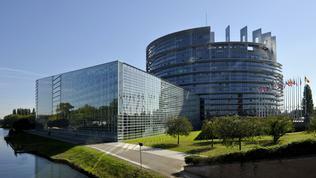 As euinside wrote in details, the Parliament insists that the new agreement should explicitly acknowledge the primacy of EU law; it should comply with European law, "in particular as regards the figures in the Stability and Growth Pact"; it should ensure the role of the European Parliament and national parliaments; and the treaty should be included in EU legislation within five years at the latest. The Parliament maintains its position that fiscal discipline is a necessary, but not sufficient condition for growth, so it keeps insisting member states to engage to take measures “promoting closer convergence and stronger competitiveness, in addition to proposals for a redemption fund, project bonds, a Financial Transaction Tax under EU law and, whilst ensuring fiscal discipline, a roadmap for stability bonds”. Elmar Brok (EPP, Germany), who is one of three negotiators on behalf of the EP in the working group on the new treaty, said: "We must avoid dividing the EU and to ensure that all the powers of EU institutions will be respected." The MEP proposed an oral amendment saying that member states who are to adopt the euro should have the right to participate in the eurozone summits too. Another negotiator, Roberto Gualtieri (S&D, Italy), commented: "It is paradoxical that the ink hardly having dried on the six pack, some Member States already want to amend it through an intergovernmental system." Liberal leader Guy Verhofstadt, who is Parliament's third negotiator in the working group, expressed his concerns that the same approach could be used by the member states in the future for solving other problems outside the European treaties. He urged the lawmakers not to allow the creation of double standards and ensure the participation of the European Parliament in the eurozone summits. On behalf of the Greens/EFA Group Daniel Cohn-Bendit (France) said that the treaty, which was not even a treaty but an international agreement, was completely useless. "Even the markets are not convinced by it because they want a coherent economic policy" which was missing in this agreement, he noted. On Friday, 13 January, Standard & Poor's credit rating agency downgraded 9 euro area countries and later did the same to the temporary rescue fund EFSF, precisely with the same argument: "In our opinion, the political agreement does not supply sufficient additional resources or operational flexibility to bolster European rescue operations, or extend enough support for those eurozone sovereigns subjected to heightened market pressures. Instead, it focuses on what we consider to be a one-sided approach by emphasising fiscal austerity without a strong and consistent program to raise the growth potential of the economies in the eurozone," the agency's report states. On January 19 another, fourth, draft of the treaty is expected to be ready. Although some say it will be the last one, many have doubts about that because there is too much time until the European Council on 30 January and the treaty has yet to be discussed by the EU finance ministers.